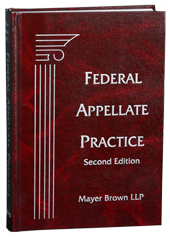 Mayer Brown’s appellate practice has extensive experience litigating federal preemption and federal preclusion cases. 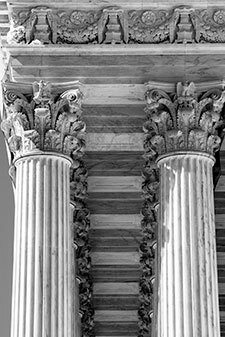 We have represented either the party arguing for preemption or an amicus supporting preemption in every major preemption case heard by the Supreme Court in the last ten years, and also regularly handle preemption issues in other federal and state courts. Most recently, we won the landmark case, AT&T Mobility v. Concepcion, 563 U.S. 321 (2011), in which the Supreme Court ruled that the Federal Arbitration Act preempts state laws that prohibit contracts from disallowing class-wide arbitration. We have successfully litigated preemption cases involving a wide variety of industries—including (among others) telecommunications, transportation, medical devices, pharmaceuticals, and banking—under statutes as varied as the Telecommunications Act, the Federal Arbitration Act, the Clean Air Act, the Food, Drug and Cosmetic Act, the National Traffic and Motor Vehicle Safety Act, the Federal Aviation Administration Authorization Act, the ICC Termination Act, and the Federal Insecticide, Fungicide, and Rodenticide Act. The plaintiffs in this case allege that they were injured by their physicians’ off-label use of a Class III medical device and that the device manufacturer improperly promoted off-label uses. A group of Arizona residents and a group of nonprofit organizations filed suit to enjoin Arizona’s Proposition 200, which required prospective voters to provide proof of U.S. citizenship in order to register to vote and cast ballots, even if they were using the Federal Form developed by the Election Assistance Commission. In the first significant appellate medical-device preemption decision after the Supreme Court’s decision in Riegel, we secured a total victory, dismissing all claims in a multi-district litigation. Plaintiffs sought damages from our client for alleged misstatements made to the FDA in seeking its approval of a medical device.